Wilder Retreats are four-day intentional retreats that use running, wild writing, and the outdoors as tools for connecting with the wilder self. Led by Lauren Fleshman in partnership with renowned teachers in the creative space, we work and play together in beautiful places. The type of work we do stretches us, and connects us, in surprising and important ways. We primarily utilize running and writing, with storytelling, yoga, humor, coaching, and the beauty of the outdoors to support creative and physical courage. Confidence and connection from the way we practice at Wilder is something we can take back home with us to add value to the work we do on a daily basis for ourselves and our community. Lauren is an elite coach, writer, and small business owner, and Wilder is a dream coming true. Having spent many years attending running camps as a kid and an elite athlete, she dreamed of creating a camp one day that went deeper than performance. She wanted to help create experiences that lasted, that poured over into every day life, that shook things up for people in much needed ways. In its fourth year, Wilder Retreats are the ongoing manifestation of that. Lauren is considered one of the greatest middle distance runners in USA history. A State Champion and National Runner-Up while at Canyon High School, Lauren went on to be one of the most decorated collegiate athlete in history, earning 5 NCAA titles, 15 All-American honors, and a spot in the Stanford University Hall of Fame. Her professional racing career brought 2 USA Championships and five World Championship berths for Team USA. A series of injuries and comebacks shaped her philosophical exploration of running, and led her to a writing practice. Her mark on the sport continues post-retirement, defined by her authenticity, activism, and engagement with the running community. Lauren is the co-author of the popular BELIEVE Training Journal series. Her writing can also be found at Runner's World, Strava, Ask Lauren Fleshman, and Oiselle. She coaches the elite women runners of Oiselle’s “Little Wing," is the co-founder of Picky Bars, serves on the Board of Directors for USATF, and with partner Jesse Thomas, parents two wee ones: Jude and Zadie. In creating Wilder Running and Writing Retreats, Lauren credits her teachers and formative experiences, including the following: The coaches at Canyon High School and Stanford University, Oiselle Volée and Bird Camps, Muse Camp, World Muse, Jennifer Louden Retreats, Off the Matt, and 27 Powers for influencing the way she envisioned WILDER. Sally Bergesen, Sarah Lesko, Amanda Stuermer, Dr. Melody Moore, David Colburn, Julia Hanlon have been influential mentors. Marianne Elliott has been a critical co-collaborator and partner from start to present. Trained as a lawyer, Marianne helped develop human rights strategies for the governments of New Zealand and East Timor, and spent two years reporting on human rights in the Gaza Strip before going to Afghanistan, where she served in the United Nations. Her best-selling memoir about her time in Afghanistan, Zen Under Fire, was an experiment in using intimate and personal stories to shift public perceptions of big, abstract issues like foreign policy. Marianne is co-director of The Workshop, a collaborative that researches and tells compelling narratives to help shift public opinion to support pro-social policy. When she's not writing or reading, you'll find her trail running in the hills around Wellington, New Zealand. Jennifer Louden is a personal growth pioneer who helped launch the concept of self-care with her first best-selling book The Woman’s Comfort Book. Since then, she’s written six additional books on well-being and whole living, with a million copies of her books in print in nine languages. Jennifer has spoken around the U.S., Canada, and Europe, and has written a national magazine column for Martha Stewart magazine. Plus, she’s been profiled or quoted in dozens of major magazines, two of Brené Brown’s books Daring Greatly and Dare to Lead, appeared on hundreds of TV, radio shows and podcasts, and even on Oprah. Jennifer has been teaching women’s writing and self-care retreats and creative writing workshops since 1992 and creating vibrant online communities and innovative learning experiences since 2000. She married the love of her life at 50 and is profoundly proud to be mom to Lillian and bonus mom to Aidan. Learn more about Jennifer and upcoming opportunities to work with her. Julia Hanlon is a yoga teacher, runner, and storyteller. Julia has been teaching yoga since 2010 and is passionate about making the transformative practice of yoga accessible to everybody. Julia has taught hundreds of athletes, from elite endurance athletes in her hometown of Boston to adolescent Ethiopian female runners in Sululta, Ethiopia, where she worked as the program director of the Yaya Girls Running Program. With a BA in Ethnomusicology and Religion, Julia integrates chanting and mindfulness into her soulful teaching style. Julia is passionate about asking questions that explore the mind, body, and spirit connection. The quest for these answers led Julia to host the Running On Om podcast, which featured over 200 long-form interviews with wellness pioneers and endurance athletes. Julia is currently producing her first film on the female athletes scholars of Bekoji, Ethiopia which will premiere in late 2019. Julia lives in Boston, MA where she can be found teaching yoga, reading Mary Oliver, and running anywhere she finds trails. Erin Taylor is a yoga coach and founder of Jasyoga, a revolutionary approach to yoga for athletes. As a collegiate basketball player, she thought yoga was boring at first, time that could be better spent on the court or in the weight room. It wasn’t until she was sidelined by a spinal injury from overtraining that she discovered that there is a path of less resistance. Yoga was the “Reset” that helped her to bring things back into balance. Erin founded Jasyoga with the goal of providing practical yoga solutions to as many people as possible. 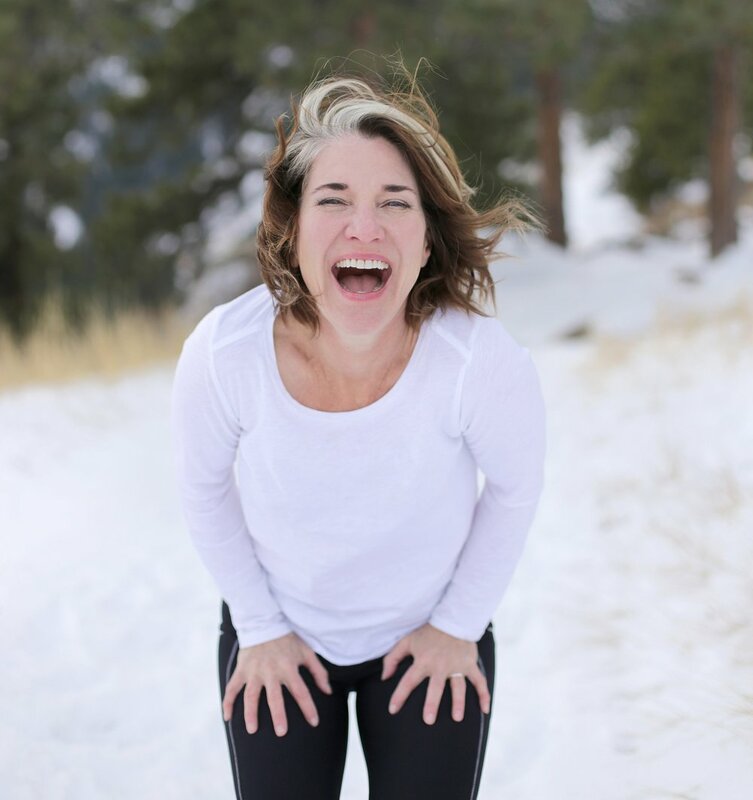 Over the last decade, she has infused meditation, functional anatomy, and physical therapy techniques into her practice, and speaks in a language that athletes can hear. Now accessible anytime, anywhere via her online via platform, with operations in Seattle and London, Erin’s approach has been widely embraced by athletes ranging from recreational to elite over the last decade, and can be configured to help anyone achieve their goals. Erin is sponsored by Oiselle and is a regular contributor to popular health and fitness blogs and publications. In addition to privately coaching sports teams and athletes, she hosts popular teacher trainings and yoga for athletes certification programs. Susanna Spies, president and founder of Comedy Playground, uses humor as a platform to express, unite, create, and share. Susanna is a comedian who uses a Seinfeld type of observational humor that gets laughs from the odd inconsistencies in everyday life, looked at from the unique perspective of each individual storyteller. She debuted in her one woman show “The Dryer” featuring thirty original characters, is a published author with The Teen Mentor, and is working on her book: “The Habit of Humor”. With parents as educators, she always had a passion to teach and developed an effective, original curriculum as a comedy teacher. In Susanna’s work, she encourages a lot of voluntary audience participation to help people find and tell their personal stories in compelling ways—usually resulting in hilarious standup routines from the most unlikely people. The elderly, children and young teens, non-native English speakers, and those who are simply normally too shy to raise their voice and share their opinions have all benefited from Susanna’s inspirational message and encouraging, funny delivery. And they’ve also enjoyed the attention and confidence building of saying something funny, and having others appreciate and laugh at their jokes. For corporate trainings, Susanna additionally provides executive team building, public speaking, and trust building connectivity programs within her division: "The Humor Activist" (HA!) implementing humor tools for success into companies worldwide. She is currently booking now through August 2019. For info, please visit: http://www.thehumoractivist.com or email email: susanna@comedyplayground.com. Zoë was born in the land of maple leafs and 'eh', and raised in Bend, Oregon. Cross country ski racer in her past life for the University of Utah and Canada. Now a ping pong enthusiast, recreational runner, and amateur ice cream chemist and connoisseur. With six Wilder Retreats under her belt working in various capacities from catch-all helper to Camp Chef, she is continuing with her role of Retreat Director for the May, June, and September events in 2019.